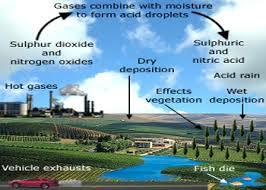 Normal clean rainfall through unpolluted environment is very slightly acidic, with its pH value just less than 7. This slight acidity is caused by the equilibrium reaction between water and Co2 present in the air, forming a weak carbonic acid solution. 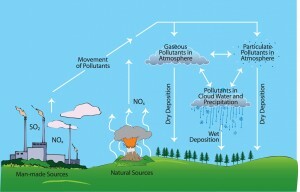 However, when the environment is polluted with primary pollutants like So2 and NOx gases, the resultant rainfall tends to become more acidic, with the increasing concentration of these pollutants. This extra activity in rain water is caused due to formation of the secondary pollutants like So2 and No2 gases; the resultant rainfall tends to become more and more acidic, with the increasing concentration of these pollutants. 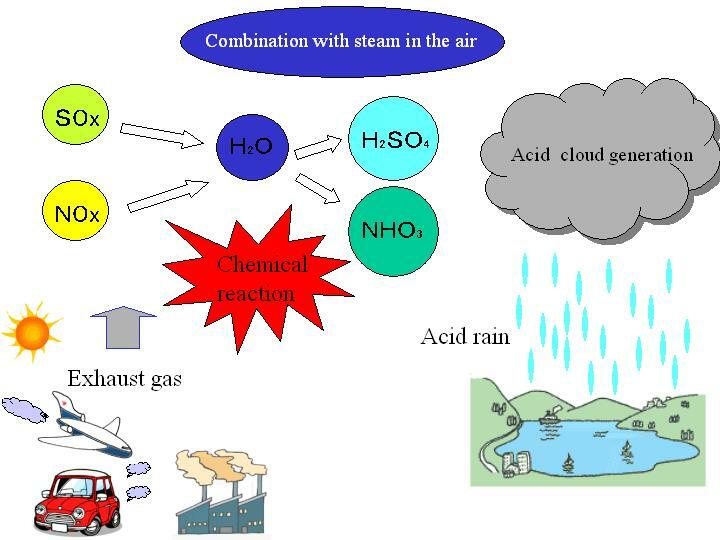 This extra acidity in rain water is caused due to the formation of the secondary pollutants, like: sulphuric acid (H2So4) and Nitric acid (HNO) due to the reaction of water vapor with So2 and NOx gases, respectively. The greater is the concentration of these primary pollutants, the greater would be the acidity, and, hence, lesser the pH value of the resultant rain. It has been specified that when the pH of the rain water falls to 5.6 or below, the rain is specified termed as acidic. An acid rain does not spare anything, which is exposed to it. What has taken mankind decades to build, and billions of years for the nature to evolve, is destroyed in a matter of few years-a blink in geological time scale. Acid rain has the potential to convert forests into wastelands by damaging trees, plants and crops; acidify fresh waters of lakes, rivers, reservoirs, springs, wells, and underground sources ; include respiratory illness in humans ; poison wild life ; and inflict irreversible damages on buildings to deface the old treasured monuments. Acid rain is a versatile destroyer having region implications at present, which may change to global ones, with the passage of time, if controlling measures are not taken. It has scourged much of the northern hemisphere in the last 30 years, and is now spreading to the industrialized regions of the south. The primary pollutant, responsible for 2/3rd of the acid rains, is SO2, which is chiefly produced by the burning of coals and oils, largely used for generation of heat and power in industries as well as in domestic uses; besides the large scale use of petrol and diesel in automobiles. SO2 pollutant, as stated above, finally leads to H2SO4 acidity. 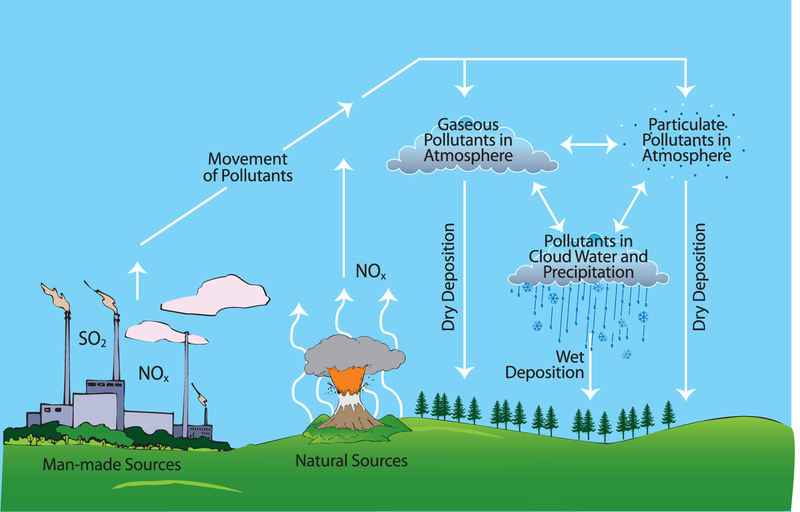 Similarly, nitrogen oxides (NOx), another primary pollutant, responsible for 1/3rd of acid rains, is chiefly produced by auto-emissions, nitrogenous fertilizers, fired forests, and grass lands, etc. NOx pollutant, as stated above, finally leads to HNO3 acidity. 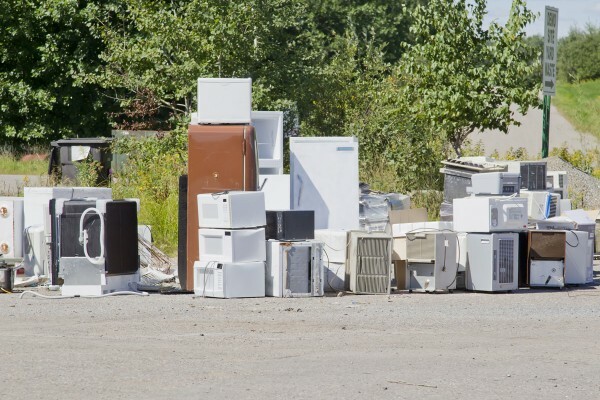 Some of the industries may release hydrogen chloride gas (HCL) into the atmosphere, which may lead to HCL acidity; but this is generally on a very small scale. The extent of these primary pollutants, emitted into the atmosphere by the industries, is really staggering ; say for example, a single nickel-copper smelting plant in Canada is estimated to be throwing about 0.65 million tons of sulphur oxides (SOx) each year. On an overall estimate, about 150 million tons of sulphur oxides and 40 million tons of nitrogen oxides do entire annually into our environment from human actions alone, which approximately equal the natural emissions of these pollutants. The proportion of man-made emissions and the natural emissions is, however, as high as 9:1 in industrialized countries. Such huge man-made pollution is certainly going to pay us back in the same coin, and that is the story of the acid rain. In spite of such large scale damage to the biosphere, we have not learnt lessons, simply because, there are no easy solutions to the problem. Moreover, the worst offenders, throwing SO2 and NOx in the air, are not always the worst sufferers, because these pollutants are, several times, carried away to the far off neighboring countries, causing acid rains there. Eventually, if the increasing air pollution emissions continue, particularly SO2 emissions, primarily being caused by the use of diesel vehicles, gen-sets, and other industries, then the days may not be too far off, when India may also face consequences of acid rains, which may cause irreparable damage to the country’s biodiversity and even to the food chain. As far as India is concerned, the acid rains have so far prominently occurred in highly industrialized localities like Chembur in Maharashtra State, where acid rain occurred in 1970’s and 1980’s. Efforts have, however, started to provide expensive scrubbers in thermal power stations and other industries to check the emission of So2 and other gases; to provide three way catalyst convertors in automobiles to check the emissions of both SO2 and NOx; to protect forests and lakes by taking emergency measures, such as spreading of lime on their surface; by fertilizing the damaged trees with calcium, potassium, magnesium, and so on. All such corrective measures, of course, have a price, and are very costly, and may even cause other detrimental effects on the environment, such as the ones caused by the necessity of excessive quarrying of limestone mines for use in scrubbers. The environmental gains of such corrective measures have, therefore, to be weighed and balanced against their costs and associated detriments.